Schroon Lake bed and breakfast travel guide for romantic, historic and adventure b&b's. 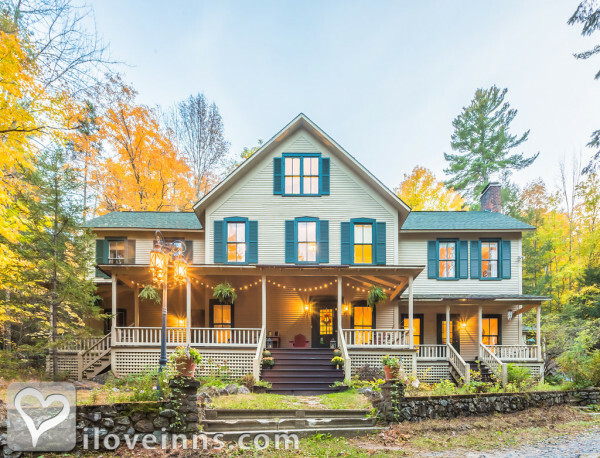 Browse through the iLoveInns.com database of Schroon Lake, New York bed and breakfasts and country inns to find detailed listings that include room rates, special deals and area activities. You can click on the 'check rates and availability' button to contact the innkeeper. Visitors at Schroon Lake, New York can enjoy The Adirondack Park for many hiking and biking trails. Among the attractions found near the park are Pharaoh Mountain Wilderness, High Peaks, and Hoffman Notch. Lake Placid is also nearby. Schroon Lake offers fishing, canoeing, water skiing, and swimming. Visit during the Adirondack Folk Festival, the Strawberry Festival, and the Annual Arts and Crafts Fair. At these times, Schroon Lake bed and breakfast inns can be busy. Other attractions near Schroon Lake are Saratoga Springs, Lake George, whitewater rafting on the Hudson River, Fort Ticonderoga, Adirondack Museum, Seagle Music Colony, and Lake Champlain Maritime Museum. By Schroon Lake B&B.